When it comes to numbers, churches tend to err in one of two ways: they either discount them as unimportant or they put too much emphasis on them. The reality is that numbers are important, and though they aren’t the only sign of a healthy church, they are an important measure. For Mars Hill, numbers are a key measure of our health. For us, it’s all about the numbers, if by “numbers” you mean the number of people getting their sins forgiven, getting their lives changed by Jesus, and going to heaven instead of hell. We’d like that number to go up. We’re all for that. When numbers are viewed from this perspective, they are a good thing to desire to see grow. This is why I commend pastors who desire to see the church they pastor grow for the right reasons. 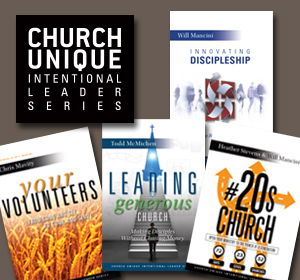 In my conversations with pastors around the world, many have questions on church growth. 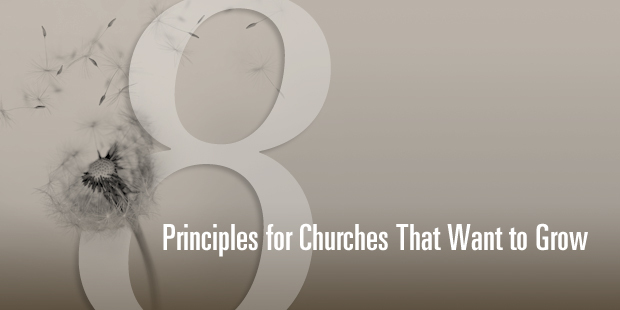 So, I thought I’d share eight principles I’ve learned about church growth. 1. BEGIN WITH THE END IN MIND AND KNOW HOW LARGE YOU WANT TO BE. The following is a rough breakdown of reported (which may not be entirely accurate) church attendance. Admittedly, these numbers are a few years old, but, as a general rule, they do give you a rough idea of church-size barriers. Lyle Schaller, considered one of the best church consultants in the world, states in his book, The Very Large Church, that the two most comfortable church sizes are under 45 people and under 150 people, likely making them two of the hardest thresholds to pass through, in addition to the 800 mark. In The Tipping Point, Malcolm Gladwell states that 150 is also the maximum number of people someone can purposefully connect with, which explains why some people do not like bigger churches. It may also explain why John Wesley divided people into groups of about 150, the average hunter-gatherer village is about 150 people, most military units are under 200, and the Hutterites allow their communities to grow no larger than 150. Understanding group dynamics like this is important in understanding that there are significant challenges that come with each phase of church size, and being aware of where you want your church to grow allows you to begin preparing for those growth phases more effectively. Read the rest of Mark’s post here.